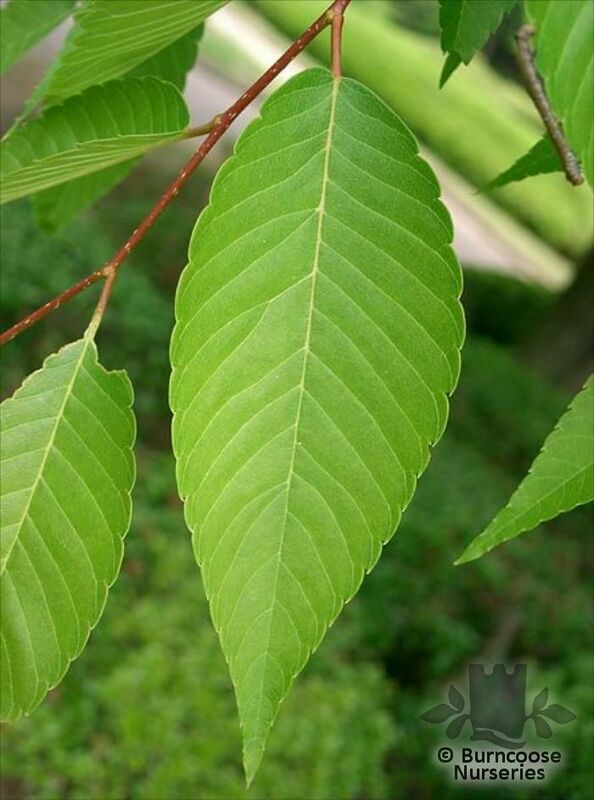 In the elm family, resistant to Dutch elm disease and used as a substitute. Genus of about 6 species of deciduous, monoecious or hermaphrodite trees growing in scrub and woodland. Commonly known as: Japanese zelkova, Keaki.